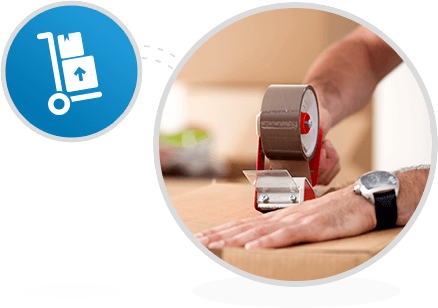 Don’t make moving more stressful than it has to be. Let us create a strategic plan to help oversee your IT relocation in the most secure and effective way possible. We make sure everything is up and ready to go in your new office. Drop us a line below, and let’s start planning together. 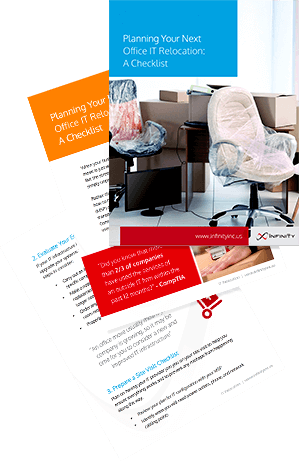 Our detailed IT Relocation checklist was created to help you stay on track during your next move. Download it instantly – no forms to fill out. It’s on us! Moving into a new office space may also indicate the need for a new and improved IT infrastructure. Perhaps it’s time to cut down on hardware by migrating to the Cloud or switching to virtual desktops. To reduce the stress and chaos of moving into a new space and upgrading your IT infrastructure, the team at Infinity is here for you.